It's the third unplanned closure for the Columbia Generating Station in the past year and a half. The lone nuclear power plant in the Northwest was shut down early Friday morning and was still off-line as of Monday evening. 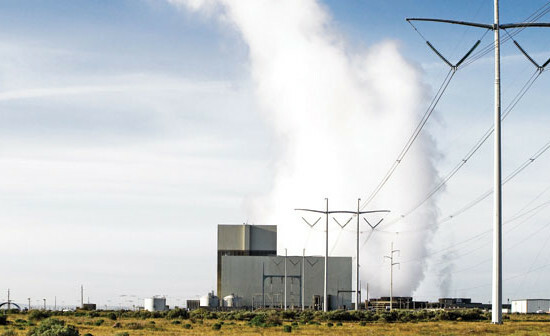 The Columbia Generating Station went off-line "after the main power transformers automatically disconnected from the grid. The reactor was safely shut down and the cause of the disconnect is under investigation," the plant operator, Energy Northwest, stated in a news release on Friday. There was a problem with one of the plant's three transformers, Energy Northwest spokesman John Dobken said Monday. "We're working to fix that and then we'll get it back on-line." Damon Motz-Storey, clean energy organizer for the Physicians for Social Responsibility, said it's the third time the plant has been shut down for unplanned reasons in the last 18 months. It shut down in August 2017, a month after the plant's waste-shipping license was suspended by the Washington State Department of Health for shipping waste that was seven times more radioactive than labeled, Motz-Storey said. It also was shut down in December 2016. "It's not as reliable as advertised in meeting the grid's energy needs," he said. Dobken disputed that, noting the plant has been operating at an average 92 percent capacity over the past five or years. The nuclear plant is located along the Columbia River on federal property at the Hanford nuclear complex, 10 miles north of Richland, Wash. The plant's location on the Columbia River makes is "a unique health and safety hazard to the Portland region," Motz-Storey said. Opened 35 years ago, Columbia Generating Station is the only power plant built among five once proposed by the failed Washington Public Power Supply System initiative. The consortium of public utility districts or PUDs was often dubbed "Whoops" because of its WPPSS acronym, when the five-plant expansion plan was mired in a longrunning financial scandal. WPPSS, founded by the Washington Legislature in 1957, was later renamed Energy Northwest. It serves 27 public power member utilities in Washington, with more than 1.5 million ratepayers. The nuclear plant's power is sold at cost to the Bonneville Power Administration, and 92 Northwest utilities receive a share of the electricity.